I spent this week in NYC on business where my team is located. Some of you know that I am not a huge fan from the Big Apple (hence I move here 3 years ago), so I am really glad to be back. Although I have to say it was great to see and catch up with some old and new friends. Coming back had some complications, my flight out of Newark yesterday got cancelled and there was no connection until 6.00am today, the air line gave me a voucher which the hotel did not accept. Had to go back to the airport/ticket terminal and get a new voucher. Getting up at 3.00am this morning (that is 1.00am MST!) and flying back through some pretty rough air. In short, I got home, did some groceries and went fishing to decompress. I hit up BC again, caught up with Jason and his wife Guadi and had some fun. Fishing wise I can't complain, fish were rising to anything I threw at them, no wind, cloudy, not hot, perfect. Here are a few pictures of the nicer ones, all brown trout but one - that one was a very nice one that jumped the net. 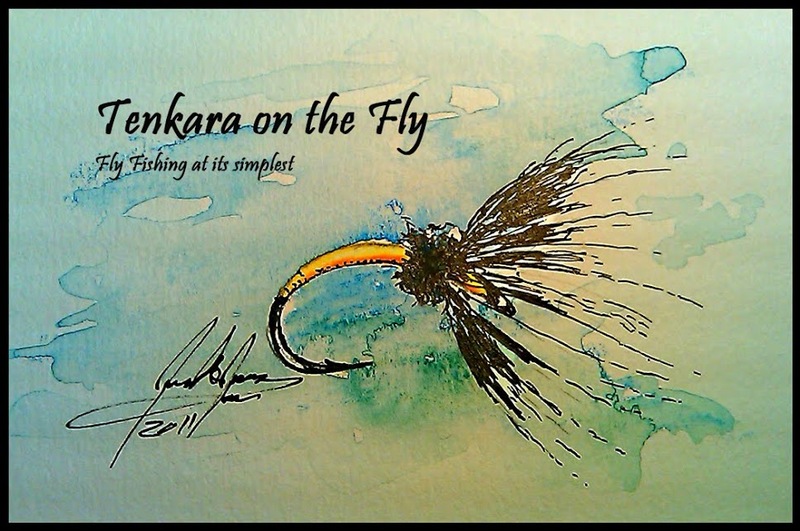 PS - if you live in Colorado, check out the Colorado Tenkara Anglers on Facebook. Good stuff there! That's what I call releasing some stress. Nothing the better to help you relax than the sweet tune of the stream flowing and fish splashing. Tight lines. Great pics and fish. Karel, I'm right there with you on not caring too much about NYC, even though it's practically on my doorstep. Any place where I can always "decompress" would be better. Nice browns. Glad you got to decompress after such a lousy trip. It was good fishing with you. I promise, we didn't lose you on the stream on purpose! Thanks guys. I am glad I headed out even I was soo tired. Overnight, BC went from 25cfs to almost 150cfs due to some torrential rains. Hopefully she'll come down quickly. love your net. Who made it? Thanks Len. The net is a Tamo, as used by Tenkara Anglers in Japan. The angled handle comes in very handy when releasing trout (you can put it behind your knee cap to have both hands free). It's being sold here: http://www.tenkarausa.com/product_info.php/products_id/114 . You can also google "tenkara tamo" and find some interesting results.